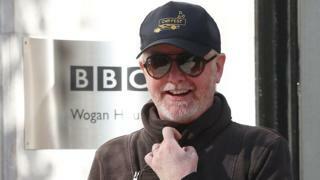 Chris Evans has denied that his move from BBC Radio 2 to Virgin Radio is motivated by money. A day after announcing his departure from the Radio 2 breakfast show, Evans addressed newspaper speculation that he will get a pay rise, and that he had fallen out with managers at the BBC. "There's the usual smattering of facts in amongst loads of fiction," he said. "I've just got to tell you it's nothing to do with money. There is no rift here whatsoever," he told listeners. "My bosses... have been nothing but absolutely gorgeous to me as far as what I announced yesterday is concerned. They couldn't have been more supporting and more accommodating and more understanding, and I'm so grateful to them for that. "A very wise man once told me... if you make a decision just based on money when you don't have to, that will more than likely 99.9% come back to bite you where the sun don't shine, and I've always gone with that." 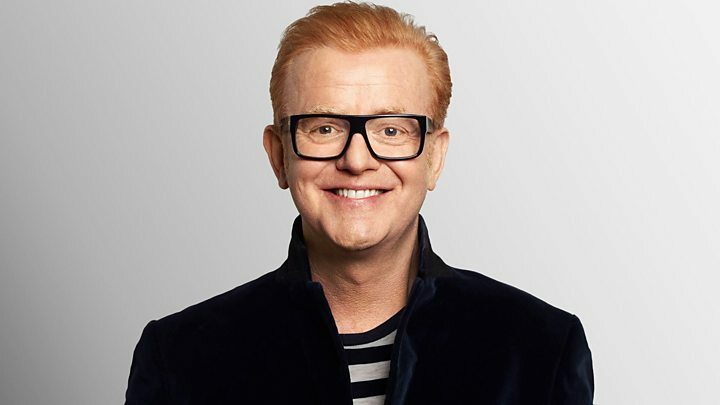 Evans was paid £1.66m for hosting the Radio 2 breakfast show in 2017-18, and there are reports in Tuesday's papers that he will pocket £2m a year from Virgin. Media captionChris Evans announces his departure live on air. On Monday, he explained his decision by saying: "Some of us are mountain climbers [but] if you get to the top of your favourite mountain and you stay there, you become an observer. I want to keep climbing." Virgin Radio UK, which was launched two years ago and is owned by Rupert Murdoch's Wireless Group, is a digital-only station with around 400,000 weekly listeners, compared with Radio 2's figure of 15 million. According to bookmakers, the leading contenders to replace him on Radio 2 are Sara Cox, Zoe Ball, Jo Whiley, Richard Bacon and Liza Tarbuck. Jeremy Vine, who hosts the station's lunchtime show, said: "I think Sara Cox will get it myself." Speaking on his new Channel 5 show on Tuesday, he pointed out that Radio 2 has come in for criticism for the lack of women in its line-up. It has not had a solo female presenter in its weekday daytime schedule since Debbie Thrower in 1998. "Putting a female DJ in there is obviously what they are going to have to do," Vine said.